Volunteerism is an important part of any civil society. French political scientist Alexis de Tocqueville states in his classic treatise, Democracy in America, that, “The health of a democratic society may be measured by the quality of functions performed by private citizens.” Sometimes volunteers are recruited by friends or colleagues to join them in their pursuits. Other times volunteers proactively seek out opportunities that match their interests. People engage in volunteerism for a variety of reasons. They may believe in the organization’s mission. They may want to impact others. They may just want to do the right thing. These motivators can apply whether a person is considering volunteerism in the private sector or supporting public sector projects. One of the intrinsic benefits of volunteering is the ability to build connections and network with others. Through exposure to individuals outside of one’s own immediate circle, a person can extend both their mindset and insights while also interacting with those who have different life experiences and beliefs. All of these aspects of volunteerism are positive. Yet, in today’s environment of seemingly non-stop rancor, incivility and extreme dysfunction, it would not be strange for some people to shy away from volunteerism. Those partaking in volunteerism must have a foundation of mutual respect and shared goals. Incivility leads to unproductive uses of time, whether connected to unruly meetings or ineffective projects. Why take time to reach out and aid others when everyone seems focused on themselves with no regard for others’ sensitivities? Why volunteer for unnecessary turmoil and chaos in life? Incivility can have a huge influence on people’s willingness to volunteer. Discourse, debate and dialogue are key components of any civilized society and can have a profound effect on a society’s volunteer efforts. This is not to say that differences of opinion and active disagreements have no place in a society that encourages volunteerism. Some believe that social progress is only possible through aggressive dissent. They see the emphasis on civility as potentially an obstacle to obtaining the greater good, which they see as only possible through struggle. They believe the ends justify the means. But conflict does not mandate incivility. Authentic conversation is essential to effective public discourse. But these discussions can take place within a framework that provides a safe haven for respectful interactions. I recently have had the opportunity to participate in a series of conversations across the nation regarding good governance and civil discourse. Jointly sponsored by the George Washington University Law School and the National Association of Parliamentarians (NAP), these panels focused on the essential nature of civil discourse to good governance, civil society and corporate professionalism. These types of focused conversations become conduits through which thought leaders can advocate for civil discourse. They can also model an approach to discussion that does not undercut the innate spirit of volunteerism that exists in so many individuals. 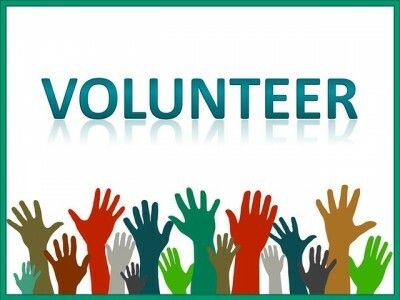 If we accept that volunteerism benefits both society and the individual, then there is a real need for the public sector and community partners to offer and support volunteer opportunities. There is a need for opportunities that recognize and encourage dialogue based on tenets grounded in civil discourse. Without advocating for volunteers to be muzzled or made silent witnesses, organizations that utilize volunteers can assess their attitudes and practices to encourage an informed exchange of ideas. These ideas should take advantage of the diversity that comes from an effective volunteer program. Discuss policies and principles, not people, when determining structure. Discuss people, not process, when determining values. Develop orientations that not only indoctrinate volunteers as to what is, but also encourage them to offer their own ideas on what can be. Design volunteer programs that proactively seek a diverse population and respect the cacophony of thoughts that will come with this recruitment strategy. Remember that a more flexible attitude toward differing ideas may lead to a larger pool of talent available to your cause. Conversation grounded in these principles may blunt the negative impact current trends toward incivility and hostile conversation will have on community engagement. As individuals are asked to potentially expose themselves to these types of attacks, such principles will help. At least by discussing alternative approaches, these potential volunteers can see that their work is appreciated and not in vain. They can see that their willingness to unselfishly give to their communities and society will, in the long run, serve as the saving grace for protecting society’s ability to make progress in a civil manner. Author:James “Jim” Jones is President of the National Association of Parliamentarians and senior partner of BGE Enterprises. He is also a certified mediator. Jim specializes in board governance, strategic planning and conflict management.